The heat of Summer is already here. I am a Summer-girl at heart. I love being outdoors and in the sunshine. Summer days mean outside time and the pool or beach. What don't love I love about the Summer pool and beach season: the damaging effects of the sun and water on my hair. Luckily, there are some great products available to specifically protect your hair from the summer sun and pool/ocean water! 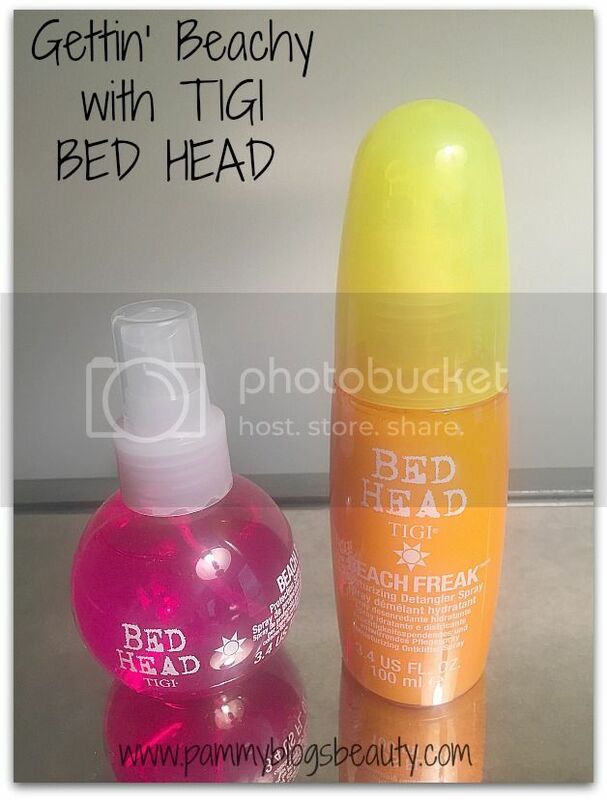 Enter TIGI BED HEAD Beach Freak Moisturizing Detangler Spray and Beach Bound Protection Spray. To find out more about each of these products and how I like using them, please click "read more" below! Mist this milky spray all over tangled hair to calm your tresses and watch your comb glide through without catching. Packed with seaweed extract known to keep itself from drying out, Beach Freak lubricates strands that have become dehydrated from salt, chlorine and the sun’s rays. Retails for $18.99. I am really loving the Beach Bound Protection Spray and the Beach Freak Moisturizing Detangling Spray from TIGI BED HEAD! From the addictive and refreshing grapefruit scent to the fantastic moisture and protection, these products are Summer must-haves! Not to mention, the packaging is so cute! Be sure to check these out! Bed Head by TIGI products are available at Ulta stores, Ulta.com and select salons nationwide. Find a salon near you at bedhead.com!